The professional engine builder's "must have" A-Z book on high performance valve-trains for Over-Head Valve (OHV) engines. Includes CAM and CYLINDER HEAD integration and many rarely discussed or revealed component selection and tuning tips. A pioneering professional’s comprehensive insight to the previously confidential world of precision rocker arm design and application to Over-Head Valve competition engines. 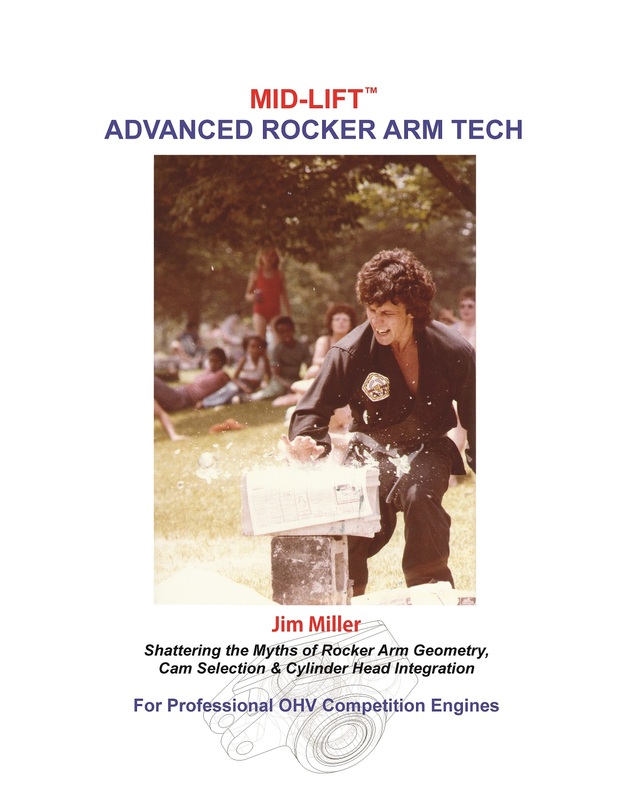 Written by the founder of the Patented MID-LIFT roller rocker arm geometry for internal combustion engines, and fully Illustrated, Jim Miller explains the critical elements of valve train design and system integration with in-depth tech and terminology defined for pro and novice alike.